The Design Boards: Do all-white interiors translate? I LOVE the look of all-white interiors. 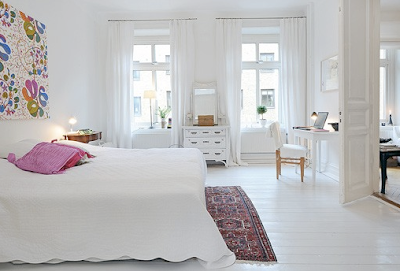 When pulling inspiration for my binders, I am always so drawn to photos of white interiors. I love the bright, light, and airy feeling they emit. I love the pops of color that come from the accessories in the room. I love knowing that if you bore easily (a problem I have been known to have) that you can easily freshen up the room by changing out the art on the walls or the throw pillows and rugs. I like options and I feel that having an all white interior gives you that. BUT, does it transalte? What I mean by that is, do these beautiful rooms that spill out of the pages of magazines and jump out at you on your computer screen, really make for warm and inviting spaces in reality?! Or do they just end up feeling cold and sterile? If you have one of these rooms are you constantly walking around on eggshells afraid you are going to spill something on your perfect white couch or are you vacumming all the time because the reality is your dog sheds everywhere and your husband insists on having his Saturday morning coffee on your all-white chaise (the nerve!). Is there a right and a wrong way to do an all-white interior so it doesn't end up feeling cold and sterile? What are your thoughts on this? Does anyone out there have an all-white interior that could shed some light on how to do it right? I have been thinking this same exact thing. I seem to be attracted to alot of blogs that show alot and I mean alot of white interiors, but I have been thinking lately why? I did have an all white sofa, luckily with a removable slip cover, but I was washing it all the time because of the dogs. Finally I switched to a gray cover. Both my husband and I agree that the gray cover actually warms up the room more with it's very high ceilings. I really like the white, but I try keep that too the walls. That way everything that is color, stands out more. 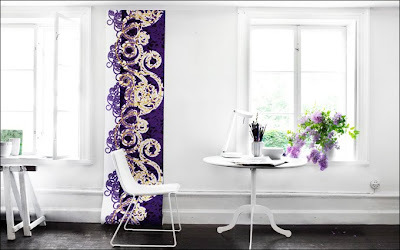 I like that idea of keeping it to the walls and making all the other colors in the room stand out. You can create a spectacular room by using all white, including walls, ceiling, furniture, just by using the various shades of white. 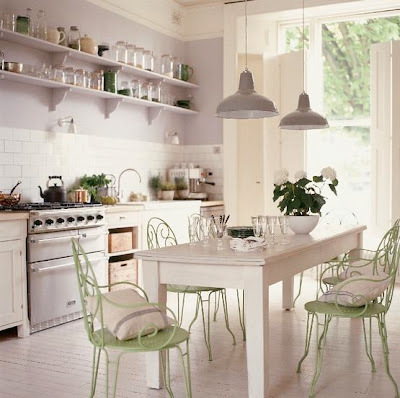 When painting white walls, you should use a lighter shade of white on the ceiling to create a sense of height. All my walls and ceilings are white, but I use various colors in my drapes and furniture to create different moods in each room. These are great ideas Lois, thank you! 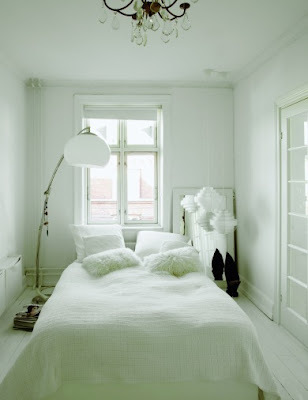 I am currently in the process of converting my entire bedroom to all white. I'm 90% done and it looks AMAZING! Its so relaxing and calm. I painted all the walls a bright white (even the wood floors). My friends and family weren't keen on the idea at first, but when they saw it, they all thought it looked great- even the men! Use various shades of white & cream. Don't use too many contemporary pieces of furniture or fixtures-especially when it comes to lighting. Stay away from ruffles, florals & lace.